Each life has value, but where do we find it as we go through life and it’s challenges, whether mental illness or other trials. Where do we look for our strength? 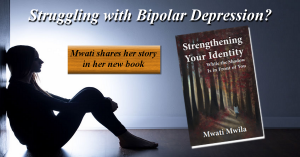 Once you have been diagnosed with a mental illness, such as bi-polar, like I have, how do you live with and survive it. How do you transform your suffering into the power of endurance?